Pic Courtesy: Ashwath Narayan's facebook page. Dr. C.N. 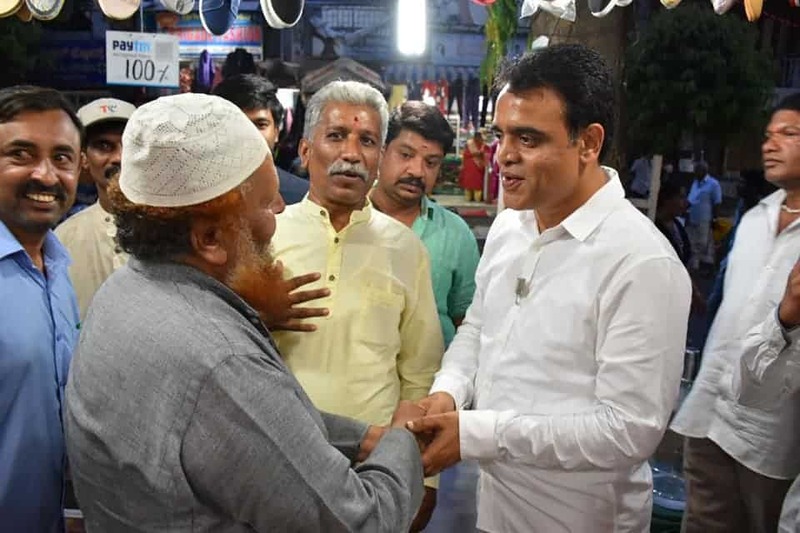 Ashwath Narayan is a two-term Member of Legislative Assembly (MLA) from Malleshwaram, contesting for a third time from Bharatiya Janata Party (BJP). A doctor by qualification, he is considered to be an approachable MLA, by the people of his constituency. In a free-flowing conversation, he talks about his work, beliefs and his plans if he is elected again. Pic Courtesy: Ashwath Narayan’s facebook page. This is your third election contest. When you contested for the first time, what was the one problem in Malleshwaram which you thought was most evident, and what is the status of that problem today? Most evident and visible challenge was waste management. It was in very bad shape, we could see heaps of garbage thrown everywhere. Second one was water supply. We were able to address water supply issues immediately in most of the areas. Waste management took some time. But now we have almost reduced 25-30 black spots over time. Some of the waste in my constituency is put by the neighbouring constituencies where management is not good, so we have to take the burden. When did you visit this place? On 11th main, there is no black spot anywhere. Only there was a garbage transfer point, but now we don’t even have that. What are the permanent solutions you planned for, for black spots in the constituency? Effective collection system is the most important thing, we have made sure this exists. But now and then there will be landfill problem, or pourakarmika strike or some other unforeseen systemic failure, and inconvenience will be caused. Something goes wrong, garbage will pile up and leads to more problems. The discipline has to be inbuilt. People don’t miss any opportunity to get back to good old habits. Collection system is effectively in place. We are very successful, we have done our job with regard to the collection. This is something I’m proud of. Plastic ban has been one of your pet projects. You have supported it strongly. But during elections, problem of flex keeps cropping up everywhere. Sometimes we have also seen your pictures on them. We understand the need for flex, but what do you think is an eco-friendly alternative? How do you see yourself implementing it? This is an issue that can be solved, not a big deal. If we have the information or database of all our constituents, with mobile numbers, or emails, so that we can directly send the message to them and keep them engaged. There is a gap in information. If there is information then this kind of hoardings are not necessary. There is a need to connect with people – now itself people feel we are doing nothing. We are doing a lot of activity, we want people to participate.As per law flex has been banned. Only by taking permission you can put them, even that should be banned. In our manifesto we are going to have zero tolerance for putting up flex banners, with or without permission. Anyone wants to display, they can use hoardings so that wall disfigurement doesn’t happen. We want to stop all kinds of disfigurement, and put a complete ban on flex, from Bharatiya Janata Party. Personally I’m also trying to collect information and trying to reach out to people asking them to cooperate. Citizen engagement through digital platform has been one of your programs. Do you think it is one of your achievements? What do you think is the area where you weren’t as successful? Wherever, whichever program we’ve designed and we’ve come out with, we make sure that it becomes successful and we keep pursuing it. Perseverance is our strength. We don’t give up normally, we work towards that and we’ve been very successful. Before we come out with a program, we look into the pros and cons whether we can make it. So because of this trial and error, correction and lot of thoughts put into it we are very successful, even with citizen engagement. It’s not as successful as we would expect it to be, but it is successful. What are your other areas that you think you haven’t been as successful? Why people feel they don’t need [to engage on digital platforms], because the need does not arise – because they are easily connected and accessible to me. Therefore anyway you can go and meet him and tell him, what is the need for an app, no need of digital engagement, we can call his office, we can meet him. That’s how [people are], they are more into the traditional methods. Most important part of the digital engagement is you leaving a trace. Whether things have happened or not, if the system is working effectively or not – all these things can be looked into it more systematically. Thus there will be a lot of information available to have a path correction and make the system more active. But that’s understandable in the context of a more elite upper middle class people. I’d like to take your attention to the slums in Malleswaram constituency. How many slums do you have in malleshwaram in terms of numbers? And what has the engagement been with them? What kind of programs have you put in place and where do you see that happening? Where do you see that going? See now digital engagement does not mean they should only use digital. We have a call centre. We are receiving calls from people. Many people come with petitions. When we receive a call, we enter the complaint into the system. If there is a petition we scan the petition and upload it. Digital platforms must be user-friendly. Necessity is the mother of invention – people know this they will learn and upgrade themselves. It becomes very simple than going in search of a corporator or MLA or an officer. Even if you go there, what is the proof that you’ve put across your problem? Where’s the document that you’ve complained and issues have been raised and it’s not been noticed? So where has it been documented? That addresses the issue of communication to the system. What I’m asking you is in terms of slum dwellers what were your initiatives, what did you to kind of improve their life and how many slums are there in Malleswaram because we do not normally associate Malleswaram with slums so to speak? Yeshwantpur, Sadashivnagar all of these areas don’t really give us a picture of slum dwellers. To your surprise, only two areas are approved layouts. Except Sadashivnagar and Vyalikaval and Malleswaram are the only few approved layouts. Remaining all it’s all are revenue areas. This hardly comprises more than 5000-4000 houses. But the are more than 60,000 houses in my constituency. Only part of, not even 10% is approved layout, remaining 90% are revenue layouts only. Now we are almost slum-free, except for Sheriff Nagar, remaining all the slums, institute development is happening. Even before institute development, we have provided them with the required water supply, power supply, anganwadis, education, health care, ration cards, pensions, all kinds of corporation loans. Their names in the electoral rolls will not be proper, it will be different from Aadhaar and different from any other documents, it creates a problem. So they’ll not be in a position to avail any of the benefit. So this correction is a continuous process. We’ve been working on those lines, we’ve taken the burden of reaching out to them, that itself is a service, that is the beginning of a big difference. It’s good. You spoke about the initiatives you’ve taken for water supply in your constituency. Can you elaborate on that? What are the major steps that you’ve taken? Basically, few things: one is harvesting the natural rain water in terms of recharging, harvesting. Harvesting we’ve done it in few places and main harvesting centres for us is the Sankey and remaining we are having many wells and tanks being built and recharging pits. For recharging we have many pits, we have done more than 150 pits, we’re having lot of recharging happening there. And harvesting is all also happening in many public places and along with that we’ve created lot of awareness to the residents about the harvest of water in their respective buildings.The third thing, with regard to the BWSSB supply, we have more than 50-55% wastage of water was there in the distribution. Now at present we have 30,000 connections. We have replaced the old 30,000 connections with new connections. The main contamination and leakage used to happen at the house service connection level itself. So here we’ve replaced more than 80-85% house service connections. And with regard to the distribution line, almost 200 kms of distribution line has been replaced over the time. Over the time, we’ve almost replaced 100%. Even with regard to the sanitary also we’ve done the replacement. Even with house service connections along with the feeder lines also we’ve ensured the is not much of a leakage from the feeder line. All these measures have reduced the leakage. Now the BWSSB claims that 50% of leakage has come down to 20%. We’re targeting it below 15%. In your capacity as an MLA, what have you done to encourage people to use public transport and avoid private car usage? So basically we used to have cycle days, though more of symbolic. We should mentally start creating a lot of awareness. Why this has to happen and with regard to the cycle track, having a seperate track was not done because it has to be not in isolation, we can’t do it in bits and pieces. It has to be a completely integrated system connecting all roads so that the safety is addressed. Because most of the children will be affected and we need to make sure that safety is addressed. First and foremost is safety which we’ve been working based on that involvement, we wanted to complete one circuit, artist wherever we do it we should ensure that all the public places and all the roads have network with cycle track. That was not done. DULT (Directorate of Urban Land Transport) and I kept pushing the dealt to come up with a plan limiting it to one or two streets. At least in one locality it should be taken up completely.. It can be between Sampige road and 11th main or the 13th main, or between the 5th cross and the 18th cross. At least one complete loop has to be there. Are you looking at it from a heritage perspective? Because your area has a number of very old and important spots which lend itself to walking tours. Heritage will be a part of that program, but daily they need to go to market, schools or playgrounds. They can go independently, they can make use of their cycle instead of taking out their vehicles so that there will not be space to park. With regard to public transportation system since there are various modes- metro is there, linking with the feeder bus lines for first mail and last mile connectivity is required. It is not been effectively addressed. Some of public transportation has been happening very crudely. It’s not been fine-tuned. BMTC is working as though they are doing great service, free of cost. But they have to gear up more responsibly – time has changed. But do you think BMTC should be subsidised and made more cost effective to encourage it? There’s no doubt about it. It has to be subsidised or made free. But where do you get the money? [If it is] free it’s something you can’t justify. Ultimately somebody has to pay that money, it cannot run freely no? Definitely it should be subsidised. Red tapism should be brought down. Just because you do free service doesn’t mean we can do whatever you want. They have to put buses in various routes, many of the routes have been ignored. People repeatedly give suggestions and we also keep pressing on those BMTC people, they are totally insensitive. Worst, I’ll tell you, it is worst, the technology they are having. There are many provide players – just provide them with plan they’ll take care of everything else. That has to be done. I feel the BMTC has not been run properly. It has to be tackled effectively and make sure that becomes the lifeline of public transportation. Along with this, even the cab services, all the car pooling if you can encourage more carpooling it’s fantastic. Every time the government comes in the way of any new things happening. Somehow the government has been very rigid, I think they should be more flexible and encouraging. At least we are not spending, we are not able to solve problems, but let’s allow others to solve the problem. We should facilitate such things to happen. Somehow we have become an obstacle and I feel more and more concession should be given to the private cab drivers. They should be exempted with road tax, they should be exempted with vehicle tax, whatever vehicle taxes should be removed, road tax should be removed. But wouldn’t that increase the number of taxis on the road creating more traffic problems? Why? Private vehicles will reduce, it becomes more competitive, more affordable. Basically people want convenience. Buses cannot reach everywhere. Mobility is a big challenge here. Very difficult for the buses to reach out to the every nook and corner. If you see the cost of sequence, the competition comes into the picture, the people will get the benefit. Only about 20% people get the best salary or best income. Remaining is all basic – very basic. Very hand-to-mouth. But as demands go up, the number of vehicles also go start increasing is my point. In your 2013 interview for Citizen Matters, you’d mentioned that the amount of funding that was given to your constituency was very limited, very little actually. You said about 200 crores was given in terms of money. Were you able to manage better funding for your constituency this time? How did you utilise that? Funding-wise it is not more but we make sure once in five years we have to [develop] 200 to 400 kms of footpath. Like this, numbers are there. Best possible utilisation will happen here and we give priority to almost all sectors. We don’t waste money, we don’t asphalt same road twice or thrice. But doesn’t this fall under the BBMP jurisdiction? So why does the MLA need to be involved in these matters? Why is it important for a Bangalore city MLA to be involved in a footpath link situation. I completely agree with you. MLA should not get into local civic facilities, facility providing, maintenance or development or upgradation whatever it is. The people are not understanding it. I will be very happy, I will be the first person to be happy to get away from all these things. But you have no choice? I’ve got no choice. This is what I’ve been insisted [to do] and this should not be my area or domain of doing things. I’ll be the first person to [get away] – I don’t want this to be a connecting factor with the people just because of the development works. I’m not interested in this. But people look towards us and since they voted us they think we are the people who should look into this. Time and again, politicians have been trying to go, move forward to do more and more things, and they wanted to get involved in more things. I’m not interested but when you ask me, a system, I can’t tell I’m away from all these things. I’ll not be elected – people will look down and say ‘what kind of an MLA, irresponsible MLA we are having here’. That has not been understood by the people. So there’s a confusion in the minds of the people. The MLA has got nothing to do here. But even the government has been trying to involve MLAs … I feel we should be kept away. One look at your LAD fund expenditure report that you file, you’ve almost spent, almost about 3 crores in the last 5 years on education infrastructure. What has been visible impact of this kind of spending? Also, do you think just improving infrastructure of government schools actually helps? Should we also be addressing the staff shortage that the government schools are facing? How do you see yourself addressing that issue? See, basically, with infrastructure or without infrastructure, for learning it does not matter. People have [learned] like under the tree also, under the shade, anyhow most important is the teacher. But as the civilization has improved, the facilities have been improving, people do expect. They feel safer in a better infrastructured [building], better toilets, better classroom, clean buildings… So we’ve given lot of emphasis on that part and sports facilities. Having a compound, [CCTV] camera, lab facilities, computer labs.. like this we’ve spent a big money. Schools will restart in a matter of few months, already you can see the desk facilities in the government schools or government colleges or schools, degree colleges. That can make a huge impact and that has resulted in the increase in the number of admissions. For example, in Mathikere, in the year 2009, we developed a school. Immediately we could see that more than 100 new students enrolled there. The classes are there between 1st and 7th standards. And the strength increased by 150 students and the existing students, it has not gone down. It has increased. Normally you’ve seen in government schools the strength going down, but here it has increased and has been maintained. Moreover we are now emphasising on preschool also, preschool learning because those 3-6 years are crucial, very crucial. 85% brain development happens and absorption is more, like a sponge – they absorb lot of knowledge. We are emphasising on it and making a big difference. Whenever any HRD secretary from government of India visits Karnataka, and Bengaluru, first they will visit our schools and feel the difference how they’ve developed the schools and they’re really happy. It is the school and the education that can make a difference in the empowerment. If you give the right education, you’ve empowered them. Your job is done. They take care of all your social problems. Whatever social problems that you’ve been talking, let it be water management, waste management, law and order, being a good citizen, health care, anything. For that matter anything. I strongly believe in upliftment of education. And I don’t call anything extra curricular, sports, culture or any kind of craft, it’s all a part of curriculum. It should not be called extra-curricular. You’ve also given about 18 lakhs of your LAD fund to the building of two temples- one was Dharmaraya Swamy Temple in Yeshwanthpur and the other one was for Brahmakumaris. Now LAD usage guidelines is that this is not advisable and it should be avoided. So how do you defend yourself against this? I’ve not given it for the temple construction, I’ve given it for the development of the community halls. It is not for temple. Couldn’t this be seen as a religious angle? Most important thing we have to understand here, the space constraints is the biggest challenge. Even though this hall adjacent to the temple is constructed, it is used for all public functions. Other times, whenever it’s free it has been used for yoga, meditation, for all good purposes. You can develop, have more summer camps, training camps. This basically empowers all kinds of activities. Regularly people are going to do bhajans over there, if you’ve seen in some temples, bhajans, religious activities.. It’s a way of life. I want maximum utilisation around the clock and since we don’t have any space to develop anything, available space maximum utilisation, even if it is a private building, I would like to go participate there. See, MLA LAD means what? It should be responsibility measurable impact you should be able to show. And now I feel for MLA LAD, there’s lot of restrictions, lot of trust deficits. For each day, they’re coming out with new restrictions [on the usage]. I feel the restrictions should go. It should be made accountable. Doctor we’ve given you 2 crore, how have you utilised it? What difference have you made with the availability of the money? That should be the question. We’ve been tied down with lot of restrictions, that is not fair. Either they should give the fund with the trust and allow the things to [work]. Now the approval itself it has to go through a lot of tables. And the delay, it’s too much. And I feel just one officer should be allowed [to deal with it] Make it one table, remove many tables. Ultimately make it (accountable). It has to be documented. Documentation is right, and once it has been done, if every information is available in the public domain or else you’ve to go take the RTI. Instead of complicating the system, I believe in making very simple. You’re a qualified doctor. And a lot of your initiatives, administrative initiatives have been in part of this, it brings your expertise into the field. Your family has an interest in a private company which deals with medical facilities. Do you see that as a conflict of interest? How does this affect your questions when you ask them in the Vidhana Soudha? A lot of MLAs have private businesses. So, how possible is it to keep your business private business away from your role as a public servant? Madam, unless you run the system you don’t know the system. My knowledge or my expertise of [being] a doctor would also help me understanding the system, how it runs. Without understanding, you can’t run the system. It’s a very good question. Conflict of interest, that’s where I come into the point of trust – conflict or no conflict, how effectively we are able to make a difference, what is the real solution? Whether you give it for free or take payment, ultimately someone’s money has to be spent. Either directly the beneficiary’s money or somebody else’s money. My question is, for each service, what is the cost to the government? When you don’t know about the costing, how can you talk about some other [entity’s] costing? Either we should say that the government has no business in running things, we are only in the business of regulating. We’ll regulate and make it very effective, whether it is government or private or anybody. Ultimately, when I run a business or someone else runs a business, the society is the beneficiary. The conflict of interest doesn’t arise for me personally. From my perception, it is not a huge business I’m talking about. It is a small [business] which I started, to have a very good public connect. I’m not a parasite. I come with some background. I can run an organisation. I have proven myself by starting an organisation and effectively running it. To showcase that – that is the only intention. Nothing else. Whenever I speak, I never ever keep (in mind) self interest. I come here as a leader. I just represent people, I work for the people, nothing else. Nothing else will be (in) my self interest. And I never ever address my self concern – never ever misuse my position. So for you that’s possible. To separate your private business interests from your role as a leader? Definitely, definitely. You should stand apart. Whenever you’re doing a job, for your small self-interest, never let down the entire system for such small things. See, from history, we are here to give this. As a person from a health background, I’m not here to just make complications or [cause] concern. Is that a special area of interest for you? Health care? What I understand is, education and healthcare are two important areas. So the government, not only here, but across the world, gives most importance [to this]. First is education, then comes health care. Because if you provide the right education, health care becomes very easy. If they are able to take care of themselves, they have responsibility. I believe more in prevention, than in getting into [cure]. I don’t want the government to get into more and more complicated areas. We should ensure that our people, the working crowd, the working generation at the right age take care of themselves… Not put a 100 dialysis centres, a 1000 ICUs. The need of that only has to be cut-down by making a right and fit society. So these two things have to be given priority. But the immediate visible things that people expect [such as] city development, economic development, industry development will happen. But this is the root. But most of the governments don’t address this, this has become the last thing. Without setting this right, they can’t get the right result. I work very passionately even with urban development, sports development, everything. Even sports is the greatest way of engaging the society in the right path, keeping them away from bad habits. Is there enough money given to an MLA to do the kind of work that he needs to do? You have an office staff of almost 16 people here. The salary and perks given to you- is that enough at all? And is that why corruption becomes unavoidable in public life? See, what happens is if you take more perks, more salary, it is not somehow acceptable in the society. I feel it has become a very questionable issue. It is always compared with the people’s income, the per capita income and people feel why should [MLAs] be given so much salary and perks? They are right in one way. And everybody will not have my system of working. I don’t want to put people into inconvenience. I want to [work] as far as possible with more manpower so that their grievances are reduced. And [see] if I can be of some help – because they come to me with lots of hopes which I’m trying to address. Not that I’m trying to take the system into my hands. I am looking forward to the day where people don’t come to my office with any grievance. The system should become so strong, a self redressal system should be built. I strongly believe in a self redressal system. I don’t want to get into all those things. But since they’re coming, I don’t want to let them down. I work in system management, water management.. as I rightly pointed out, people don’t talk about waste management, people don’t talk about water management. Because we are responding to them in a systematic manner, people are happy. But this especially, this particular aspect, the perks and salary given to an MLA, does it cover anything you need to get. Particularly, is it enough? For a few people, for many people, it is a big matter. What does your salary as an MLA mean to you? Is it big money or small money? Is it enough? Is it practical? I don’t want to create more confusion in the people’s minds. Because the good things won’t be noticed. Here what happens is we are only looking for our personal benefit. People are used to ₹1 salary. Our predecessors, senior leaders have taken ₹1 salary also. This is the kind of trend being set. So it is very difficult to break that kind of trend. And now I’m not interested in getting into all those aspects. So is that the reason that corruption becomes unavoidable? No, no. See, corruption- just because you’re spending more money, it doesn’t mean you have to become corrupt. Corruption is not an excuse. Definitely, corruption should not be encouraged. If you’re capable of spending your own money, or getting the support of your own people or your well-wishers without being a burden or without compromising on various issues, without being (part of) a corrupt system or corruption, that is the first thing. Being corrupt and trying to do something has no meaning. It is a self-defeating purpose. I am totally against corruption. There should not be any scope. And that is what I’m looking for. That’s where I’m working. We want to make inflow and outflow very transparent and make the system [transparent]. Misuse has to be prevented, discretion has to be prevented, abuse of power has to be prevented and it has to become people-centric and citizen centric. ₹28 lakhs is the cap of the amount of money (an MLA is) allowed to spend in the elections. Practically, do you think that is enough to cover a constituency of the size of Malleswaram? You can do it with ₹28 lakhs. It is not a big issue. But the only thing is today, [the campaign] demands more and more of the people’s money. More and more money is required. It is better to make the source transparent. So how would you be raising this money for your own campaign? You have people helping you, funding you, that sort of thing. Not people, normally it is my family members and well-wishers. Do you think this should be disclosed to the public? Yes, definitely. I don’t go around raising funds and asking people, “fund me, help me”. It comes to you directly? I don’t want any obligation with anybody. I don’t want to be obligated. In any relationship, if people want good things to happen, they can come forward. Even that, I’ll never ask. What is your atleast on the religious nature of politics? Do you think it’s a good thing? Religion should be kept away from politics. All parties should keep away from (religion). There is no doubt about it. It has to be completely insulated and away from religion. Do you think one has to be in power to serve the people? Do you think it can be done without being in power? In power, what happens is that you will be in a position to provide, in a position to reach out to the people. For example, if you want to take up any particular social service, that becomes a profession for you. You have to take it up full-time. How else will you run your livelihood? How else will you get involved? It is very difficult to work on and off. Full-time, you need to get into the system or outside the system, a group of people with one representative completely in touch with bureaucrats or policy makers. So that (there is a) continuous process, without keeping any self-interest, only keeping the interest of the public in mind, we should create a network. It takes a lot of time and involves a lot of work. It needs a position. Most of the people don’t know what for they have come into politics. Why they’re trying to be here and what they’re trying to do. They think it is fancy to occupy a position. Many people feel they have to occupy a position. They want to have that achievement in life. What is your ambition? What do you see? Which is the topmost level you see yourself in, in politics? If the results spring a nasty surprise and this election doesn’t go your way, will you still continue to serve the people or will you take a break from public life and think you’re you’ve earned a break from public life and will come back later? Once I get elected, it becomes a responsibility. If you are not elected you are free to do whatever you want. But would you take a break if you’re not elected this time? It depends. Nothing can stop me. I am confident of my good work, my people. I have confidence. If I don’t understand the polls, I’m not fit to be a [MLA]. This question we asked you the last time also – why should people vote for you for the third time? Because I’ve done the best and I’ve addressed all the verticals. Education. Health care. Playground. Public engagement. Cultural development. Infrastructure. Water management. Waste management. You name it. I think in any yardstick, if you compare my work with anybody, I’ve worked day and night with full commitment. I’ve made the system work. And definitely, I feel I deserve it… I deserve it. There’s no doubt about it. If I doubt, if I’m not capable, I’ll be the last person to sit here and be a burden to them. I never want to be a burden. I always want to be an asset. And always I want to be remembered for my good work. Okay, sir. Thank you so much. Good luck. He is contesting for fourth time from Malleshwaram. What did the Ashwath Narayan do, which are related to his work as an MLA directly? Take a look. 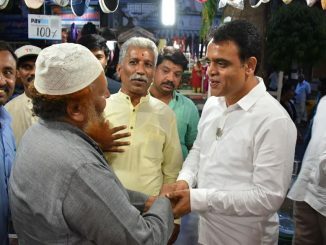 Dr.Ashwath Narayan is an affable , easy to reach legislator of the constituency. Always smiling. Very effective too. Yes there are weaknesses. 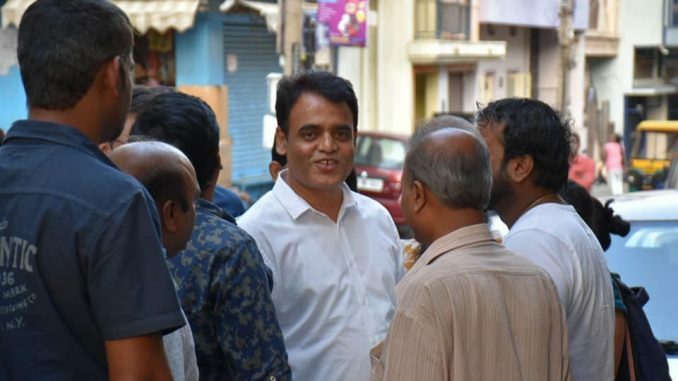 Under his shadow, the corporators functions are merged and corporators are almost forgotten. When he gets elected next time, he should give them the authority and power to become fully effective. Malleshwaram is a well developed area and hardly any area is bad in shape. I don’t even know where the slum you mention in the article exists. Malleshwaram has been neglected in the METRO project and I don’t see anything in the near horizon. The metro line just skirts the mvm boundary. With this being the case, public transport BMTC needs to have better focus. BMTC can provide connectivity service to METRO and other facilities. Malleshwaram has very few parks and hardly any space left for civic amenities. We need the available parks to be kept open thought out the day. Malleshwaram has maximum apartments and many apartments do not have adequate parking facility for their residents. How this will be addressed I do not know. There are a number of people employed in these apts as watch and ward, maid servants, Gardner’s, dhobhi to press cloths etc. This section of people are hardly taken care off. Footpaths in malleshwaram are good in shape but there is a need to have a look at the design. They are very unfriendly for senior citizens. Malleshwaram is not in the tourist map of Bangalore city. We have historic kadu malleshwara temple, gopalakrishna temple, nrusimha temple and famous circle maramma and the church under construction. There is lot of potential to increase the tourism potential. The famous 8th cross problem needs to be addressed. The shop owners have lost business and footpath trade is bursting in all seams.